Banned for Wanting to Get Paid: Heinie Groh, banned in 1921, reinstated two days later. Groh, an infielder for the Reds, refused to play as he held out for a higher salary at the beginning of the 1921 season. When negotiations turned sour, he made it clear that he never wanted to play for Cincinnati again. The team figured that they might at least try to get something from him first, so they set about trying to sign him to a new contract with an under-the-table agreement that he’d be traded as soon as the deal was final. But Commissioner Landis found out, freaked at the idea of a player having so much sway over his own pay negotiations (the nerve! ), and decided to just ban Groh for life so that other players wouldn’t copy his tactics to demand trades. But Landis added a condition to the lifetime ban: Groh could be reinstated if he agreed to play for the Reds, and only the Reds, for the duration of the season. He agreed, and the ban was reversed. Banned for Just Being Very Bad: Lip Pike, banned in 1881, reinstated in 1883. After a solid career in the National Association, Pike hopped over to the brand-new National League when it was established in 1876. But he was on the wrong side of 30, and his best days were clearly behind him. In 1881, he signed on with the Worcester Ruby Legs. He sucked. Now, he was 36 and he hadn’t played in a few years and he’d only appeared in a few games for Worcester so far—all perfectly reasonable explanations for being bad. But people still suspected he was being paid to help throw games, and after he made three errors in the ninth inning to force a Ruby Legs loss in just his fifth game with the team, they suspended him. There was no evidence apart from his poor play, but a few weeks later, they submitted him to the National League’s official blacklist. His ban was flipped two years later, but he’d already moved on with a new career as a haberdasher. Banned for Complaining About Umpires: Horace Fogel, banned in 1912. Fogel became the owner of the Phillies after serving as the manager of the Giants. But he was forced to give up the team when he was banned for writing that the umps had done such a bad job at the end of the season that the pennant race must have been fixed. 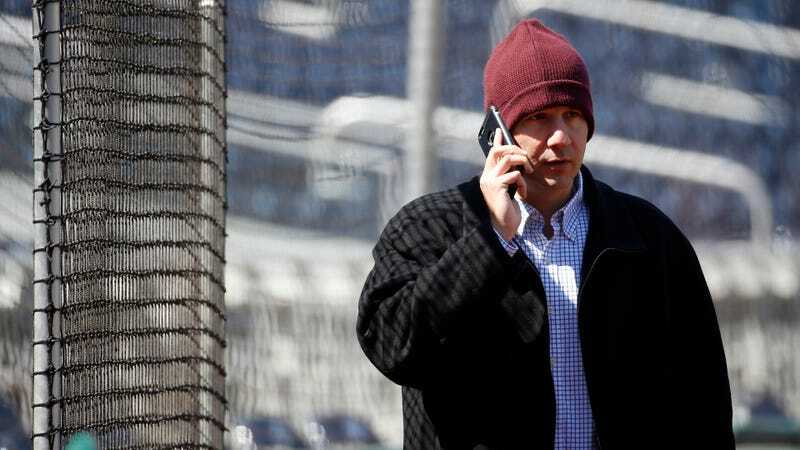 He reportedly continued to visit the Phillies offices every day, “apparently unwilling to realize that he is out of baseball.” He was never reinstated. Banned for Playing in the Mexican League: Ace Adams, banned in 1946. This reason itself is not really so interesting; plenty of players who crossed the border to play in the ‘40s were banned. But there are extremely few conversations where Ace Adams is even somewhat relevant, and this is one of them, so let me now take this opportunity to tell you that “Ace” was the pitcher’s real name! Not a nickname. His birth name was Ace Townsend Adams, given at a time when the term ace existed to describe a star pitcher but was not especially popular—the Dickson Baseball Dictionary places the word’s first use at 1902, and Adams was born a few years later in 1910—but by the time he grew up and actually pitched in the big leagues, ace was pretty common. He was primarily a reliever (and a pretty good one, actually) but whatever. Still cool! His son, grandson and now his great-grandson also have the name.